In this post I am using some codes to draw mathematical shapes that looks like flower. 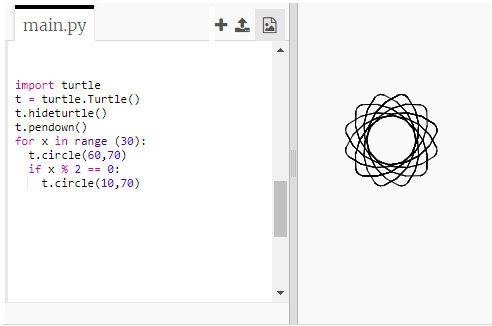 To do this we need to import turtle library, then using circle function to complete our work. You may play around with the numbers and figure out what will happen.